2 Nights 3 Days Satao Elerai Camp Safari takes you to Amboseli National park, where you will explore the park. Amboseli National park is situated southeast of Kenya and is unique for its large elephant herds and splendid views of Mount Kilimanjaro. This 3 days Satao Elerai Camp adventure Safari will offer you the opportunity to explore the park as its home to a variety of wild animals. This three days safari starts in the capital city of Nairobi and ends in Nairobi. 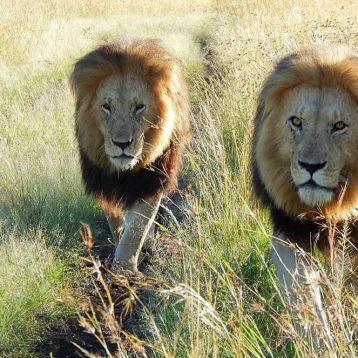 The 3 Days Satao Elerai Camp Safari from Southern valley Safaris starts from Nairobi. The safari also ends in Nairobi. Southern Valley safaris driver guide will pick you from the hotel, airport or place of residence and also drop you in a place of your choice within the city or Airport to catch your flight back home. Satao Elerai Camp is situated in a quiet and unspoilt, unique setting on a 5000 acre private conservation area 12 kms south east of Amboseli National Park at the foot of Africa’s Largest mountain, Mt Kilimanjaro. 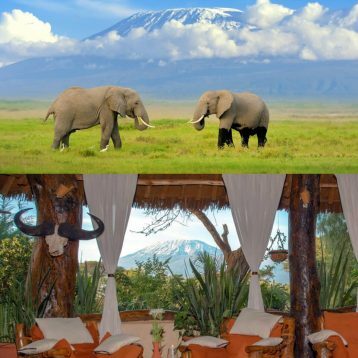 Satao Elerai Safari Camp looks down onto the Amboseli National Park in one direction and up to Mt Kilimanjaro in the other direction, offering clients what is arguably the best location of any camp in Amboseli. The rooms at Satao Elerai Camp are built and designed to ensure that your stay is in complete luxury. The camp offers 12 luxury en suite mountain facing tents and five large luxurious lodge style suites. All tents and the suites are en suite with the suites also having luxurious baths. Enjoy an early morning game drive before returning to your camp for Breakfast. After breakfast, check out with an en-route game drive off Amboseli. Drive towards Nairobi. On arrival, Southern Valley Safaris driver guide will drop you at your hotel or airport to catch your flight back home. Want to extend your safari In Amboseli National Park? 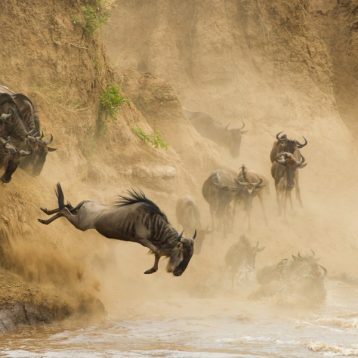 Book 4 Days Satao Elerai Camp Tour and get the best game viewing. Satao Elerai Camp is situated in a serene, unspoilt and unique setting on a private conservation area about 270 km from Nairobi and 12 kms south east of Amboseli National Park. The camp looks down onto the Amboseli National Park in one direction and up to Mt Kilimanjaro in the other direction, giving clients what is arguably the best location of any camp in Amboseli. The rooms are well designed to ensure that your stay will be in complete luxury and memorable. 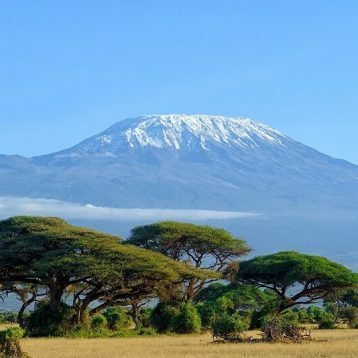 The camp is set at the foot of Africa’s Largest mountain; Mt Kilimanjaro. Each tent has its own en-suite bathroom with solar hot showers and a toilet with a view.